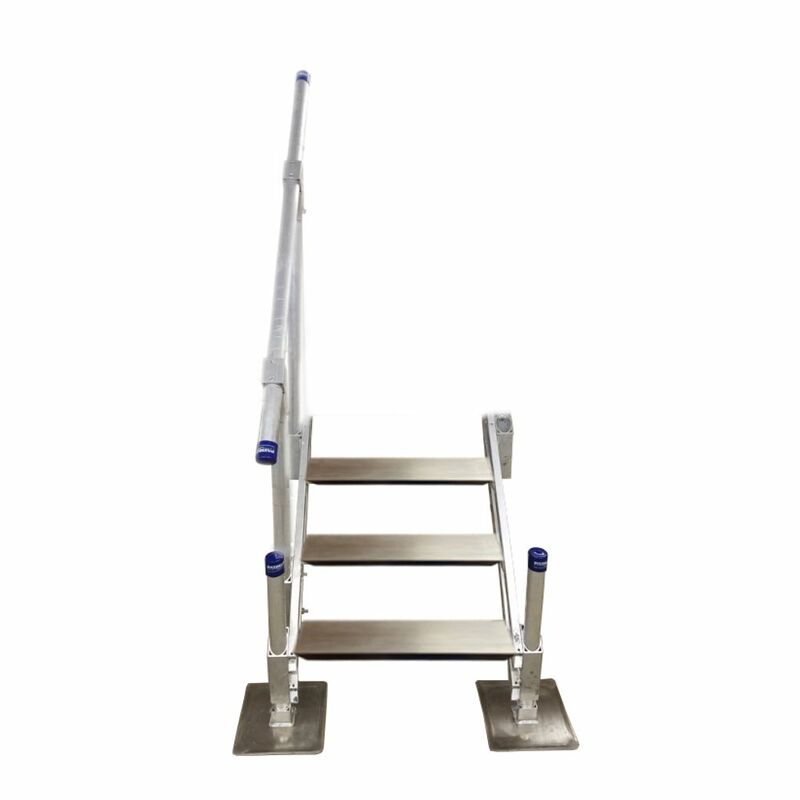 3 Step extra strong Duracoated Grey Steel Ladder can be used for Floating or Stationary Docks. This Ladder has 16 in. x 3.5 in. steps and comes in 3 easy to assemble parts. Included: a retractable ladder system to remove it from the water when needed. 3-Step Aluminum Stairs with Handrail Universal aluminum shoreline and dock stairs make lake access easy and safe. The stairs feature extra wide and extra deep non-slip steps that measure 24 inch wide by 5.5 inch deep. The 7 inch rise is a comfortable step height for people of all ages and pets. The 20 inch adjustable drop legs make the stair system safe and stable for any application. The stairs are mounted at a 450 angle and can be installed on any dock (hole drilling may be required). Constructed from marine grade aluminum with a natural aluminum finish.